The RP Photonics Buyer's Guide contains 39 suppliers for red lasers. 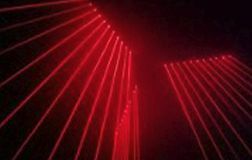 Ask RP Photonics concerning different kinds of red lasers. 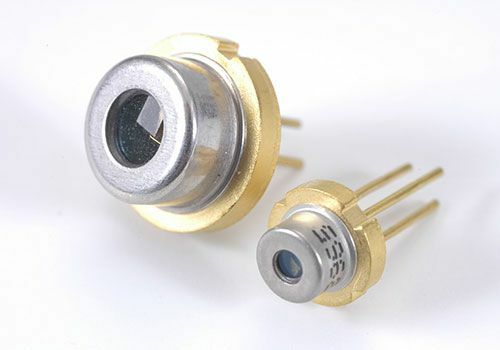 Red laser diodes, based on, e.g., GaInP or AlGaInP quantum wells, are available with different output power levels, ranging from a few milliwatts (single emitters, VCSELs) to the order of 100 W from diode bars. Typical wavelengths are 635, 650 and 670 nm. The shorter wavelengths have significantly better visibility for the human eye, but are more difficult to generate efficiently. Red laser diodes are often used for laser pointers. Various gas lasers can emit red light. In particular, helium–neon lasers are suitable for smaller powers at 632.8 nm, whereas krypton lasers can generate high powers at 647.1 nm. Lasers based on praseodymium-doped (and sometimes ytterbium-codoped) ZBLAN fibers can emit around 635 nm. Hundreds of milliwatts of output power and very high beam quality are achievable. It is also possible to realize upconversion lasing. Red bulk lasers can be based on, e.g., laser crystals of ruby (chromium-doped sapphire, Cr3+:Al2O3), and also on Pr3+:YLF and Pr3+:LiLuF4 . Titanium–sapphire lasers emit mostly in the infrared region, but can be tuned down to roughly 650 nm. 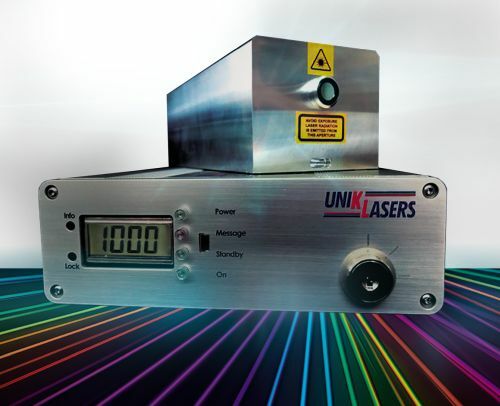 There are various types of frequency-doubled lasers, where the actual laser emits in the 1.2–1.3-μm spectral region and a frequency doubler converts this radiation into red light. For example, 660-nm light can be generated with frequency-doubled Nd:YAG lasers, 656.5 nm with Nd:YLF, or 671 nm with Nd:YVO4 or Nd:GdVO4. Output powers of multiple watts can be obtained with high beam quality. Some red laser sources are based on other nonlinear frequency conversion devices, involving e.g. sum frequency generation or parametric oscillation. For example, an OPO with intracavity sum frequency generation can generate red light . There are optically pumped semiconductor lasers (VECSELs) which can either directly emit red light , or generate red light via intracavity second-harmonic generation . Light from lasers operating at somewhat longer wavelengths, such as 750 or even 800 nm, can still be perceived as red light, if it is sufficiently intense. (There is no sharp boundary between the visible and the infrared spectral regions.) It can, however, be hazardous to view such light, because such intensity levels required for good visibility can damage the retina. Red lasers are applied e.g. as laser pointers, for optical data recording or retrieval (e.g. on DVDs), for laser projection displays, for interferometers, for pumping of certain solid-state lasers (e.g. Cr:LiSAF or Cr:LiCAF), and in medical therapies (e.g. photodynamic therapy). 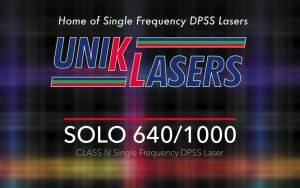 As part of our PILAS range of gain-switched pulsed diode lasers, we offer two different red lasers: The PiL063 with a wavelength of 635 nm and the Pil067 with a wavelength of 665 nm. 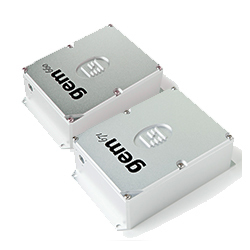 All PILAS lasers offer triggable pulses down to 20 ps in a small footprint for both scientific and OEM applications. 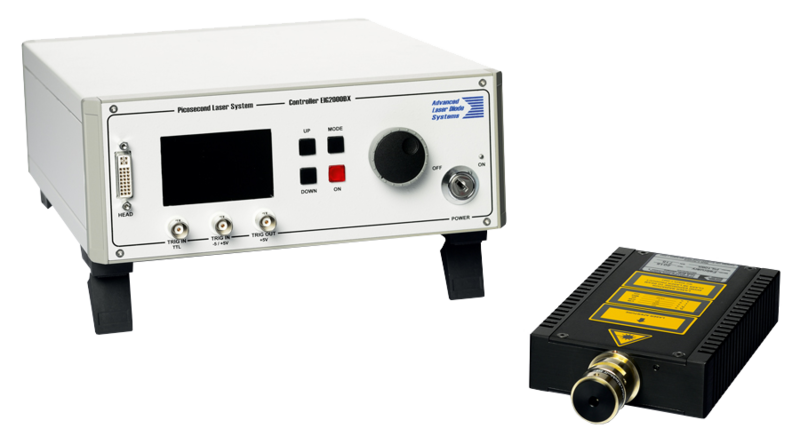 Available with output wavelengths from 375 nm to 1.6 μm, the PILAS lasers are very versatile and comes with low timing jitter, maintenance-free operation, and low cost of ownership.